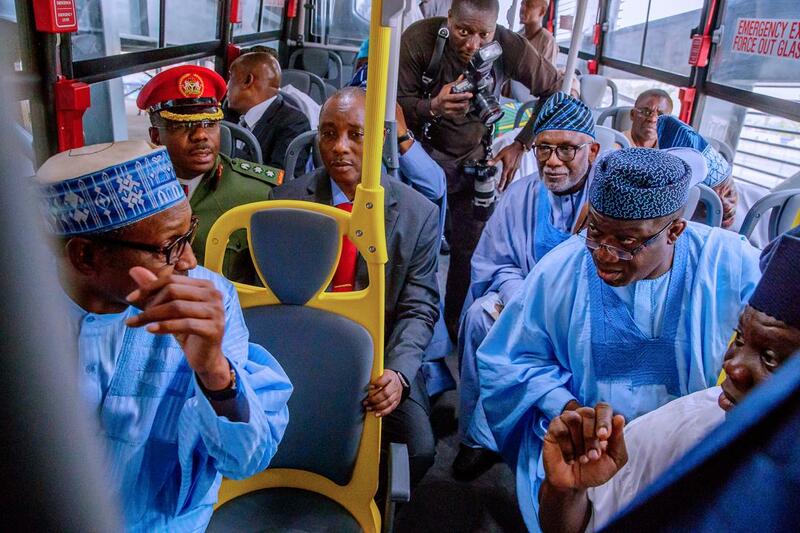 Nigeria’s President, Muhammadu Buhari on Wednesday commissioned the remodeled Murtala Mohammed International Airport Road, the world class Oshodi Transport Interchange and the 820 high and medium capacity buses for public transportation, stating emphatically that State Governor, Mr. Akinwunmi Ambode performed satisfactorily. 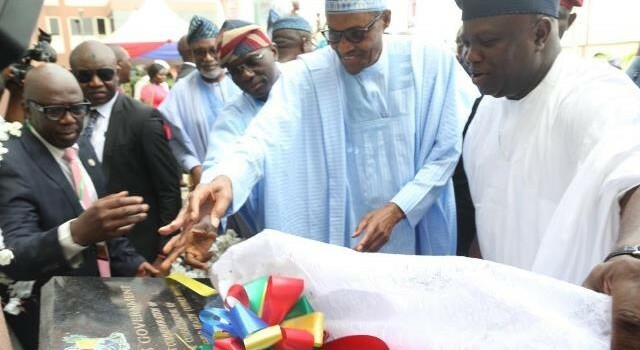 Buhari, who commissioned the three impactful projects at a well-attended ceremony, said he was delighted to unveil the projects as they aptly reflected the drive and success of government in pursuing policies and programmes that will positively impact on its citizen. 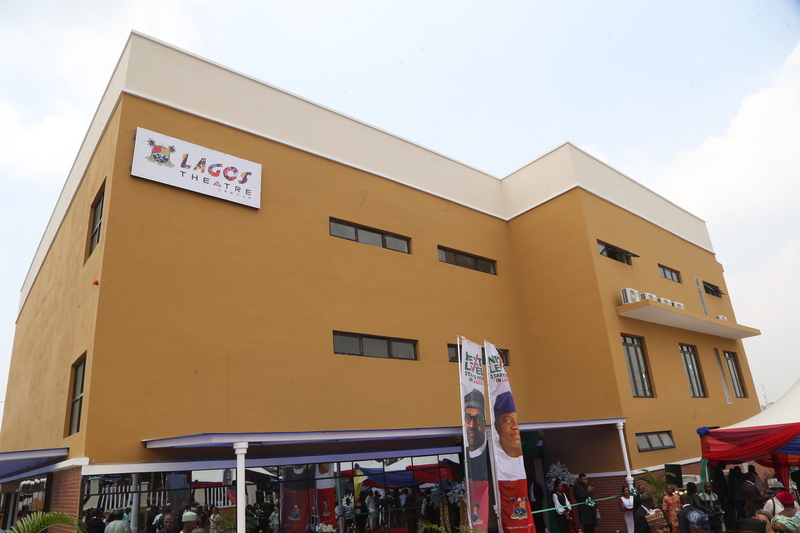 “Earlier this morning, I commissioned the Ayinke House of the Institute of Maternal and Child Health and also the Lagos Theatre in Oregun. 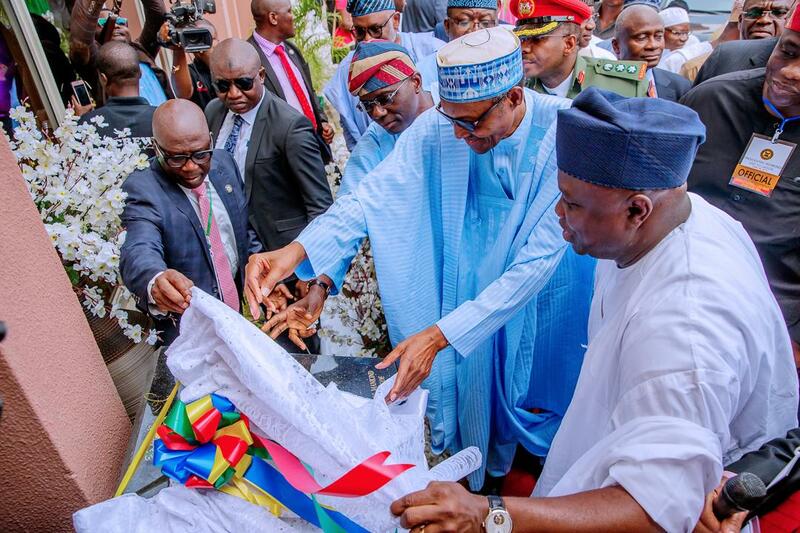 “Your Governor, Akinwunmi Ambode has performed satisfactorily and we should all commend him for his contribution to the growth and development of Lagos State,” the President said. President Buhari said the coming on board of the projects had clearly demonstrated the need to continue to provide high impact projects for the development of infrastructure and opportunities for job creation at all levels, just as he said that the development was in sync with the efforts of the Federal Government to improve infrastructure especially in the transport sector. 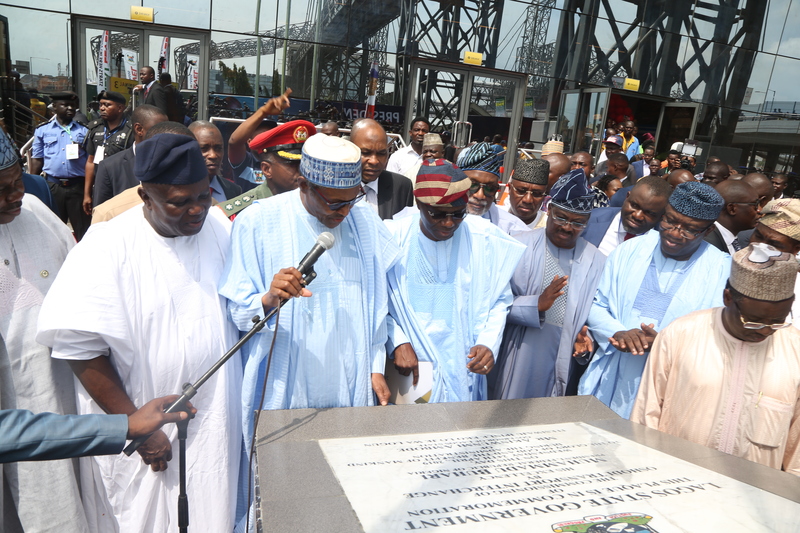 “To complement Oshodi Transport Interchange, the Federal Government has recently approved the reconstruction of the Apapa-Oshodi Expressway up to Oworonshoki and Old Toll Gate which was last attended to 40 years ago. 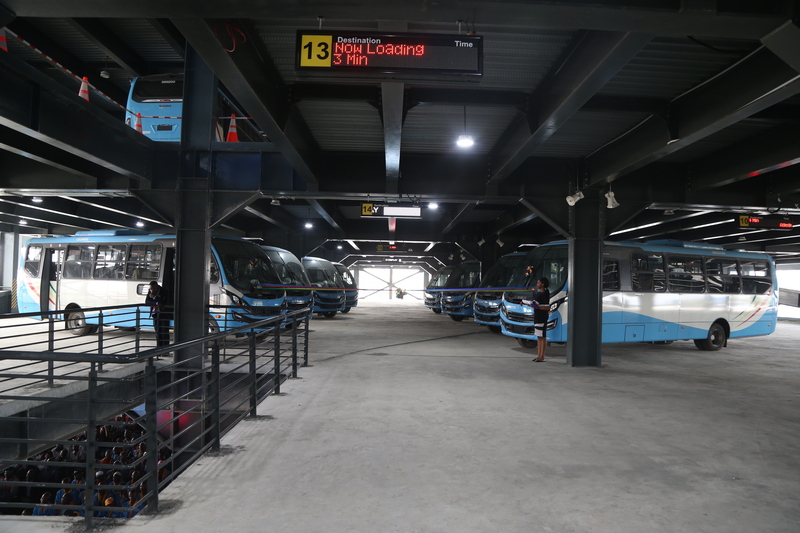 “We have recently commissioned the new International Airport Terminals in Port Harcourt and Abuja, as well as the rail lines from Abuja to Kaduna. The Lagos to Ibadan Rail Line is under construction. Our government will continue to prioritize high impact infrastructure which will vastly improve the lives of our people,” he said. 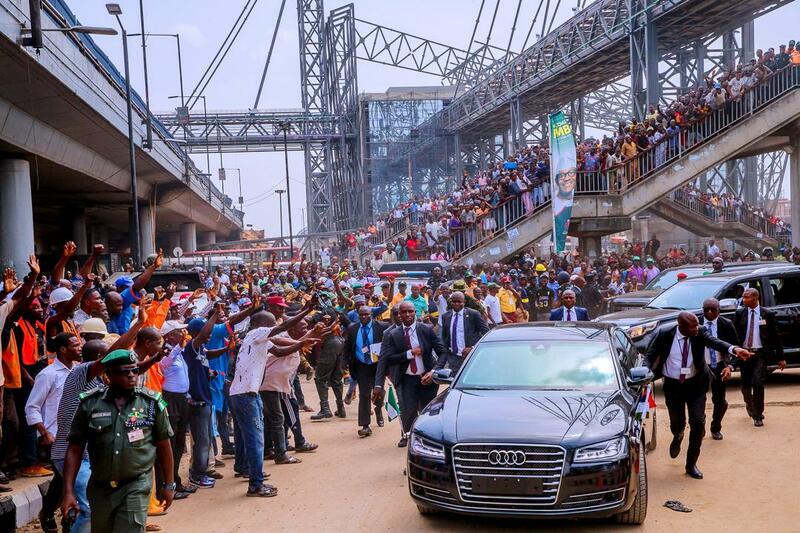 The President also seized the occasion to thank Lagosians for their support at the 2019 general election, recalling that it was his second working visit to Lagos in the last one year. In his remarks, Governor Ambode thanked the President for his direct influence and support towards the projects which made it a reality, saying that it was on record that the State has never enjoyed such measure of support from the Federal Government as it had done in the last four years. He said the Murtala Mohammed Airport Road and the U-Turn Flyover would be open for public use immediately, while the two flyovers would be open for use from May 10 after the quality assurance work is completed. 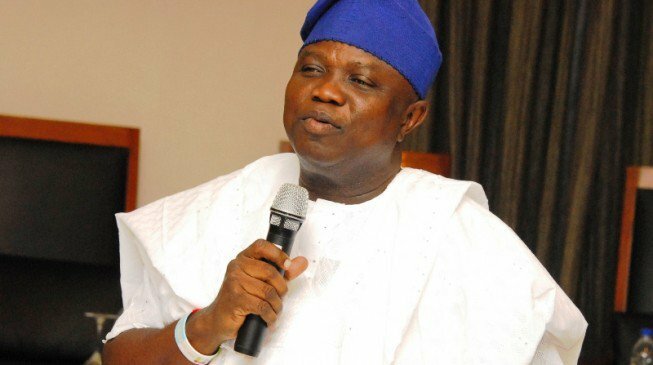 Governor Ambode said the Terminal 3 of the Oshodi Transport Interchange will become fully operational on May 1, while Terminals 1 and 2 would become operational by the end of May. 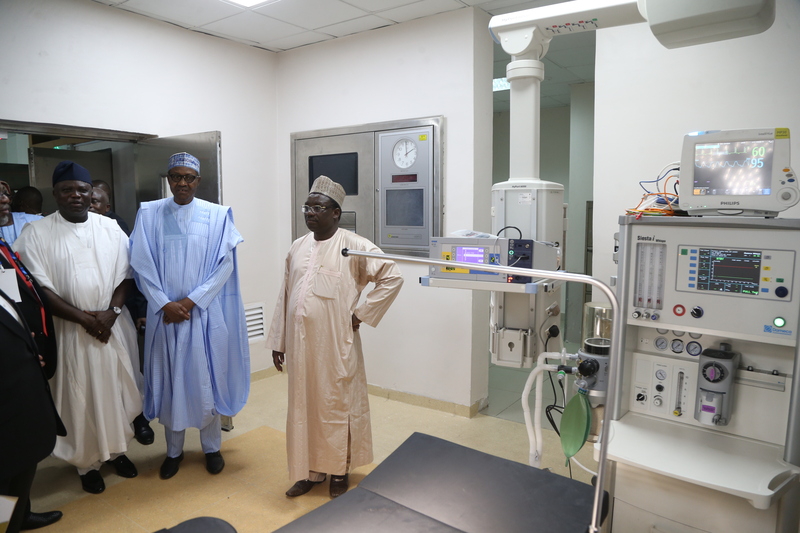 He said that the projects were part of his administration’s promise to deliver people-oriented programmes and projects, saying that the development plan of the State has been positively affected through the projects, including the Maternal and Child Health Centre, popularly called Ayinke House, which the President commissioned earlier in the day. “In our promise to deliver people-oriented projects and programmes, a closer look at all the projects indicate that nearly all the different pillars of our development plan as a State have been affected positively through these projects. 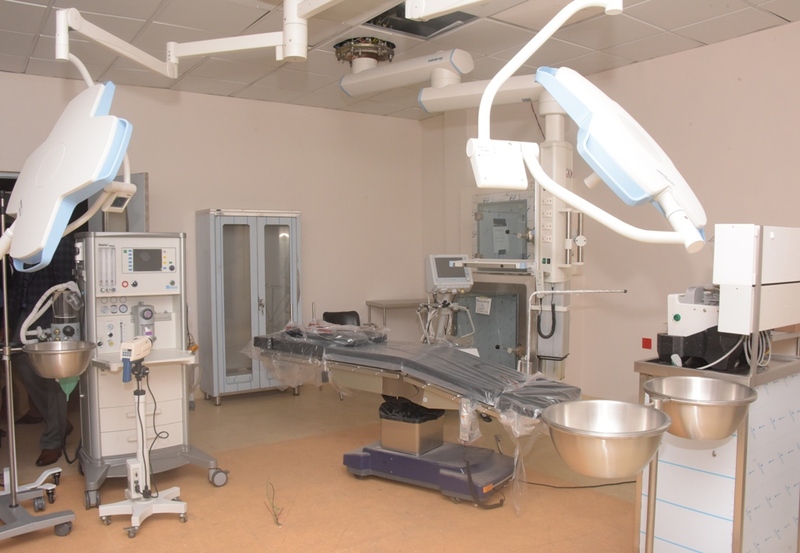 The Institute Of Maternal and Child Health at LASUTH contributes to our health and education sectors simultaneously. 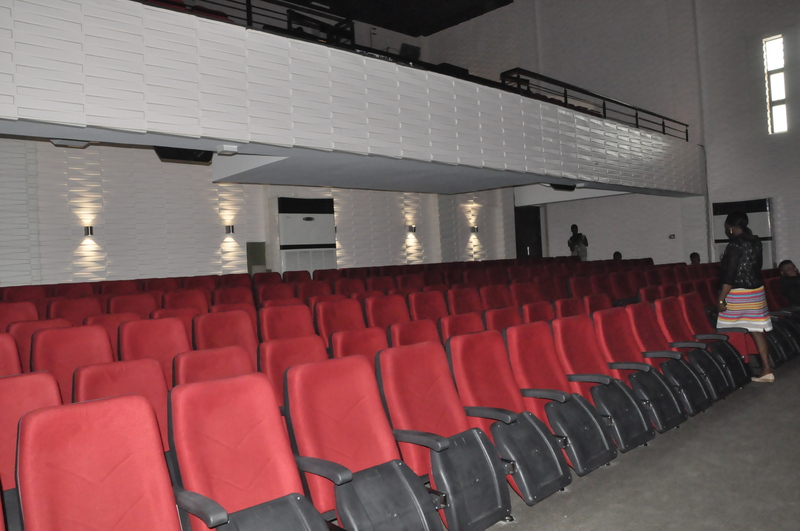 The Lagos Theatre, Ikeja is about our Social Development Sector while the Oshodi Transport Interchange and Buses come under our Transport, Infrastructure and Commerce sectors. The Murtala Mohammed International Airport Road is an Infrastructural Development project. “All these projects together form the thrust of our vision as a government and the end result is to make life better for all our people, irrespective of gender, tribe or political leanings,” he said. He said his administration invested the second tranche of the Paris Club refund, in addition to the refund by the Federal Government on Federal road projects executed by States to the construction of the Murtala Mohammed International Airport Road and the Oshodi Transport Interchange, the first of its kind in Africa, while the first tranche of the Paris Club refund to States approved by the President was utilised to pay the 40 per cent down-payment for the 820 buses. “This is our report card, Mr. President. We have used your approval and releases judiciously because we believe strongly in you, in your leadership and in your vision for our country. This is our modest contribution to the growth and development of our State and to the country in general. “Mr. President, we believe strongly that the projects being commissioned today are our own modest contributions to the national development of Nigeria. As I said earlier, these projects would not have been possible without Mr. President’s quiet but impactful decision to approve and release the payments of the Paris Club refund and the refund on Federal Road projects incurred by the States,” he said. 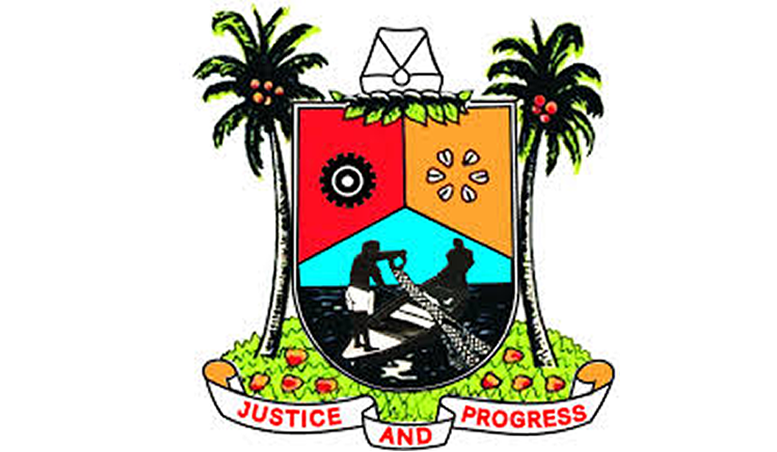 Governor Ambode said he was fully optimistic that with the coming on board of the projects, the future prosperity of the State is secured, saying that the level of investment in the last four years in strengthening the social and physical infrastructure base of the State were becoming evident in all sectors of the economy. “With the completion of these projects and given the level of commitment of the next administration as well as the continuous support of the Federal Government, I am assured that the immediate and future prospects of our State is very bright. “Mr. 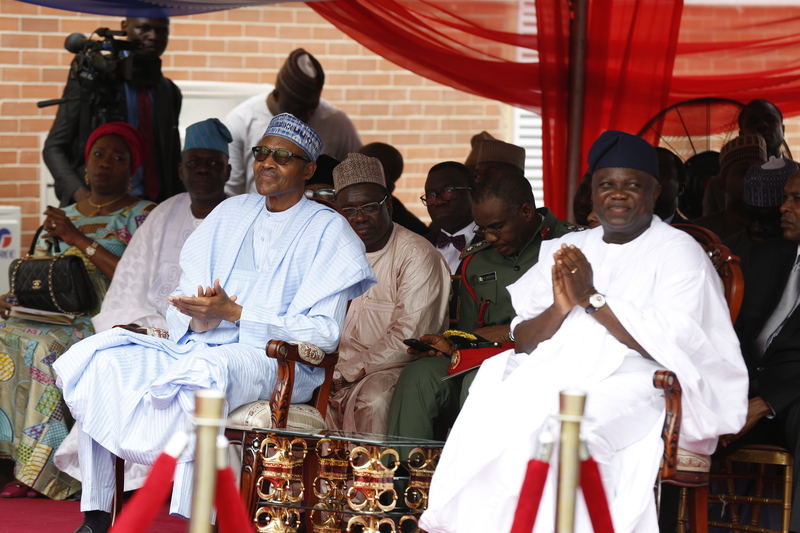 President, Lagos State will continue to support your aspirations to move Nigeria to the Next level. The business community in the State are desirous of partnering with your government in moving our economy forward,” he said. 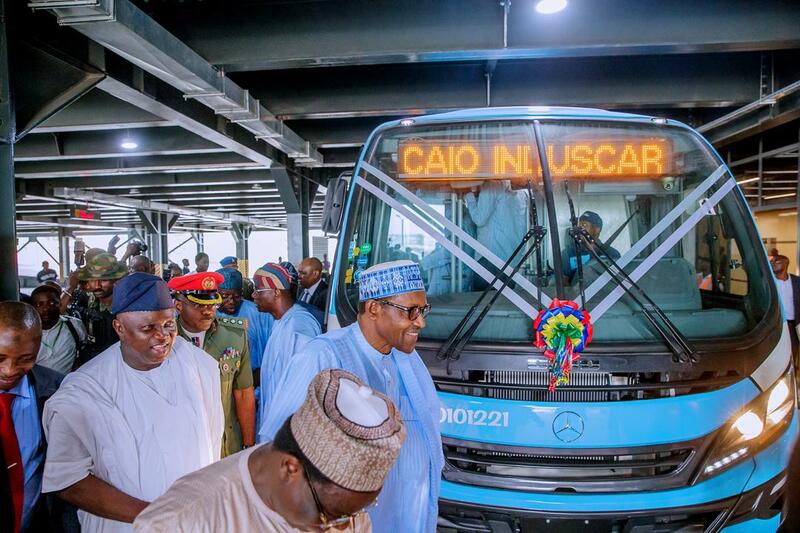 The President, after the commissioning, went on a bus ride with dignitaries to tour the facility and also drove through the remodeled Murtala Mohammed International Airport Road. Your Excellency, Mr. President, may I say a big thank you, on behalf of all Lagosians for your official working visit to our State. Today is very significant to us, to have you here commission these three landmark projects because they would not have been possible without your direct influence and support. I will come back to this later. Your Excellency, Mr. President, we are witnessing the commissioning of high-impact projects that have the utmost interest of our people at heart. In our promise to deliver people-oriented projects and programmes, a closer look at all the projects indicate that nearly all the different pillars of our development plan as a State have been affected positively through these projects. 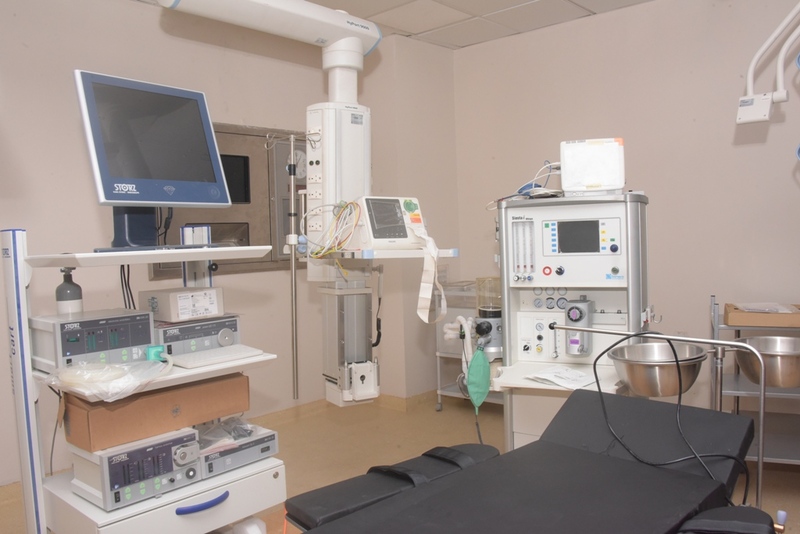 The Institute Of Maternal and Child Health at LASUTH contributes to our health and education sectors simultaneously. All these projects together form the thrust of our vision as a government and the end result is to make life better for all our people, irrespective of gender, tribe or political leanings. Mr. President, Your Excellencies, Ladies and Gentlemen, I have no doubt in my mind that the future prosperity of this State is secured. It is on record that our State has never had this measure of support from the Federal Government as we have enjoyed under your leadership. We believe strongly that the projects being commissioned today are our own modest contributions to the national development of Nigeria. As I said earlier, these projects would not have been possible without Mr. President’s quiet but impactful decision to approve and release the payments of the Paris Club refund and the refund on Federal Road projects incurred by the States. 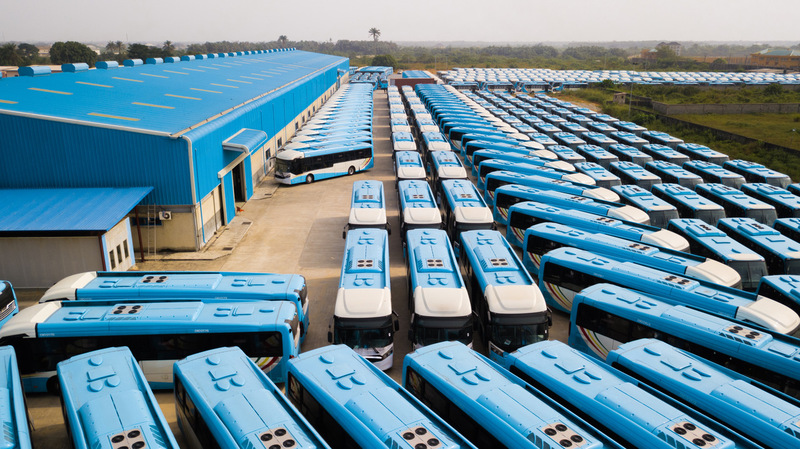 Mr. President, the first tranche of the Paris Club refund to States approved by Your Excellency was what we used to pay the 40% down-payment for the 820 buses you see here today. We are grateful Mr. President. It may also interest you to know Sir that, our second tranche of the Paris Club refund, in addition to the refund by the Federal Government on Federal road projects executed by States, are the resources we applied to the construction of the Murtala Mohammed International Airport Road and this First in Africa Transport Interchange. This is our report card, Mr. President. We have used your approval and releases judiciously because we believe strongly in you, in your leadership and in your vision for our country. 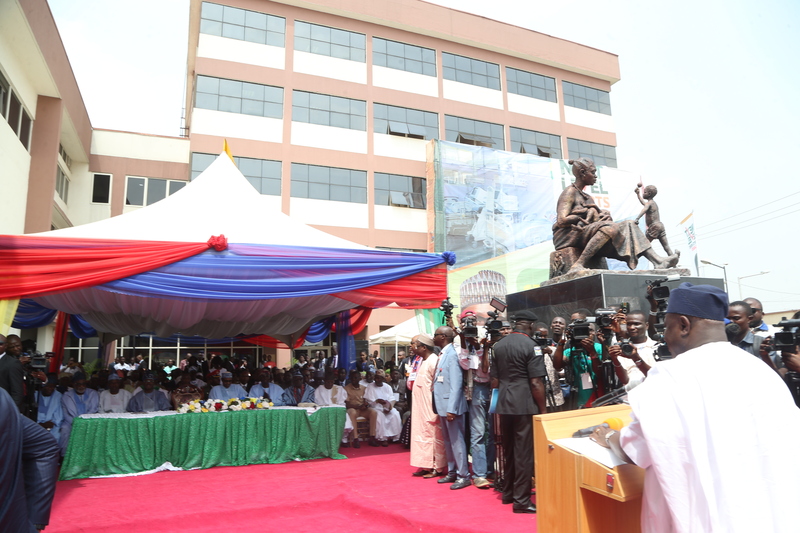 This is our modest contribution to the growth and development of our State and to the country in general. We have, in the last four years, invested so much in strengthening the social and physical infrastructure base of the State economy. 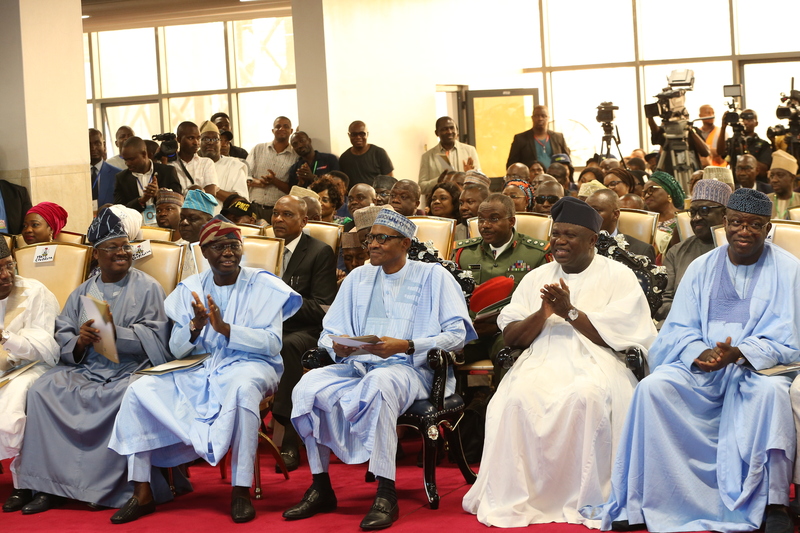 The dividends of these efforts are becoming manifest in all sectors of the economy. With the completion of these projects and given the level of commitment of the next administration as well as the continuous support of the Federal Government, I am assured that the immediate and future prospects of our State is very bright. Your Excellencies, Distinguished Guests, these projects are ready to go fully operational to serve the needs of Nigerians. The Murtala Mohammed Airport Road and the U-Turn Flyover at Ajao Estate exit will be opened for public use immediately. The other Two Flyovers will be open for use from May10th after the quality assurance work is completed. 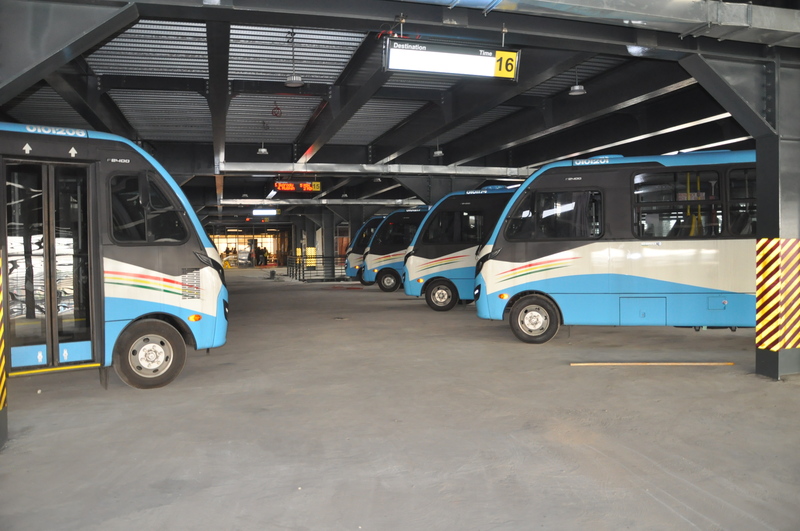 Of the 3 Terminals at the Oshodi Transport Interchange, Terminal 3 will become fully operational on May 1 while Terminals 1 and 2 will become operational before the end of May. Mr. President, Lagos State will continue to support your aspirations to move Nigeria to the Next level. The business community in the State are desirous of partnering with your government in moving our economy forward. On behalf of the good people of Lagos State, I thank you again for honouring us with your presence and I invite Your Excellency to commission these projects which you have made possible. 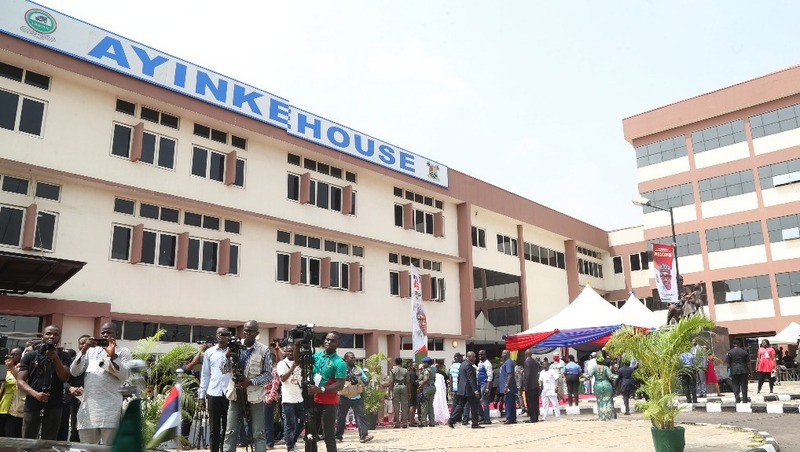 The newly commissioned Institute of Maternal and Child Health (Ayinke House) with facilities at LASUTH, Ikeja, on Wednesday, April 24, 2019. 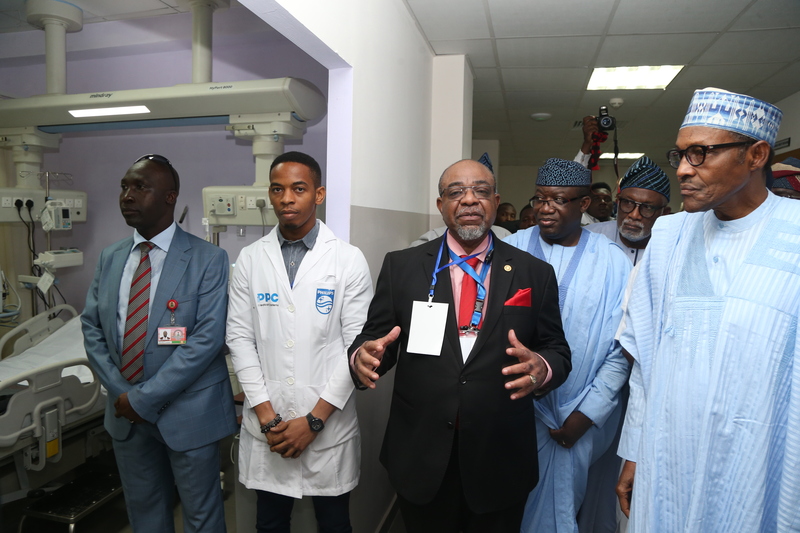 President Muhammadu Buhari (2nd left), with Lagos State Governor, Mr. Akinwunmi Ambode (left), inspecting the facilities in the newly commissioned Institute of Maternal and Child Health (Ayinke House), LASUTH, Ikeja, on Wednesday, April 24, 2019.